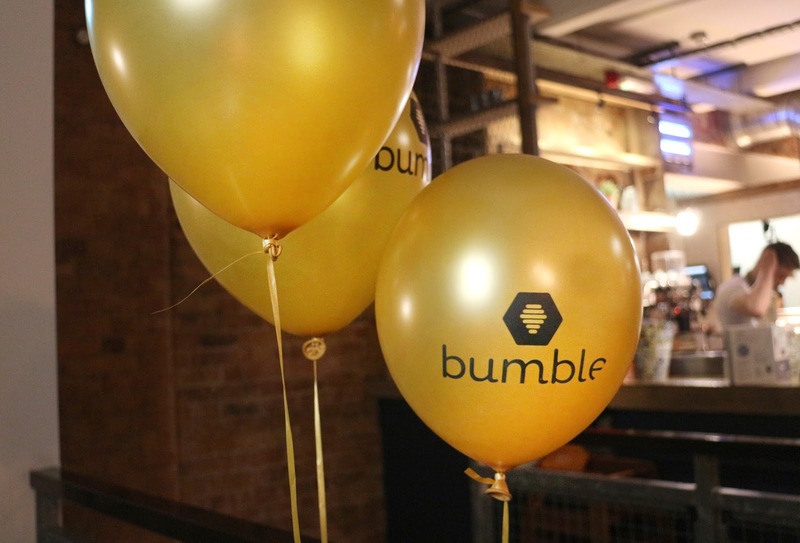 Today I wanted to share my experience of the first Bumble event that I attended for International Women's Day. Bumble is this social/dating app which allows you to make connections with people nearby. It works a bit like Tinder where you swipe to connect. I've been using it for a while and its really fun to connect with professionals around me, especially because I never used Tinder. I mostly just use the bumblebizz which is used for networking. 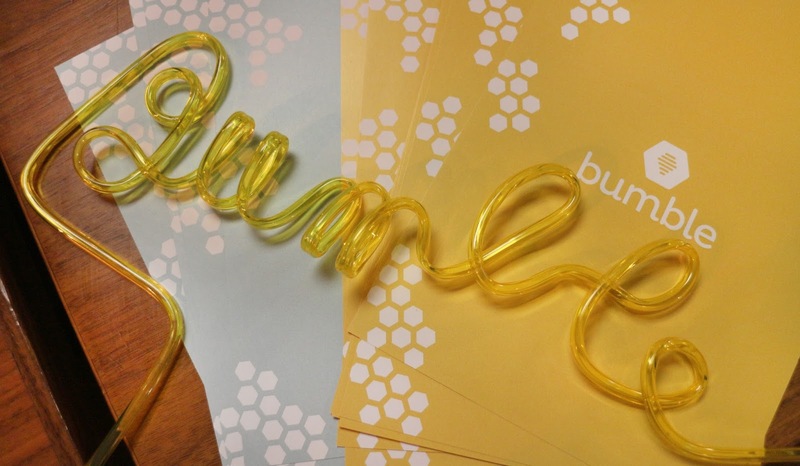 So if you're Nottingham based and would like to do some networking, make sure you check out the Bumble events. Hosted by Queen Bee, Jess Berry, it's a great opportunity to meet some new people and make friends. Join the facebook page to always hear about upcoming events. It's also a nice opportunity to meet some fellow local bloggers but it is open to anyone interested in coming along. 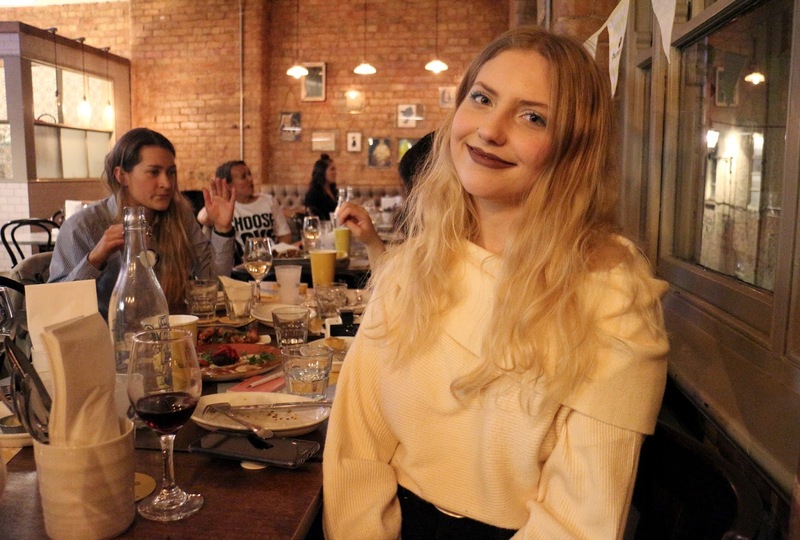 The event was hosted at Baresca in the Lace Market which I happen to love. I went there for tapas for my birthday so I had to come again. I've heard about Bumble events for a while but couldn't make any of them for months so I was super excited that I could make this one. My friend Becca came with me to keep me company nonetheless. We started the event with some mingling and chatting. The girls there were super friendly and it was so easy to talk to everyone and keep a conversation. Everyone made me feel really involved and confident. Shout out to Paraz and Ewelina! I think I'll feel more comfortable and chatty for the next one which I'm super excited for. It's a chocolate making workshop, definitely check it out in case there are any spaces left! We also got some small tapas which were mostly veggie so I was very happy. 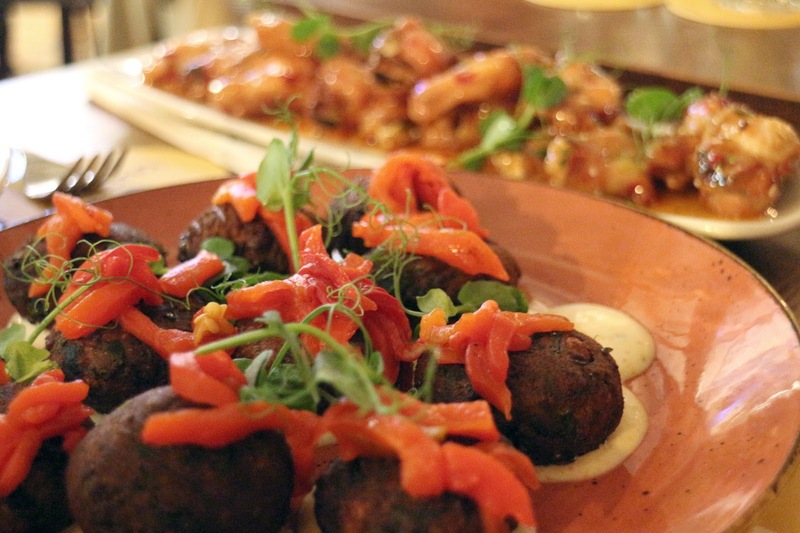 You have to try out the fried halloumi! Hope to meet some of you at the next one!